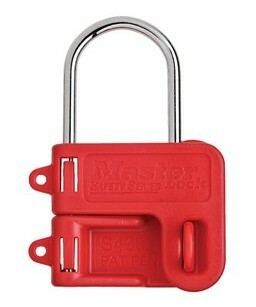 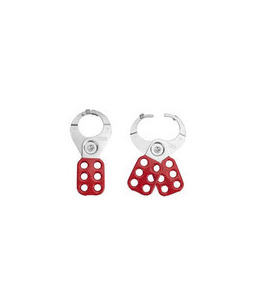 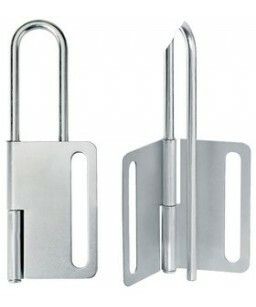 A safety hasp is often used with a padlock. 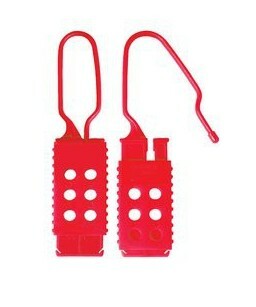 It is attached to the primary isolator and the person carrying out the work attaches their personal lockout safety padlock. 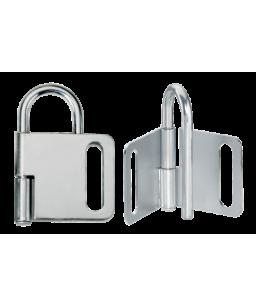 Any other employee who needs to also work on the same isolated equipment attaches their own personal lockout padlock to the hasp. 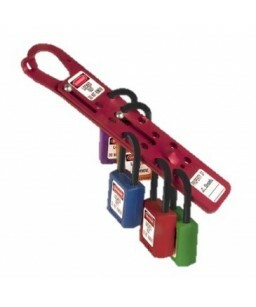 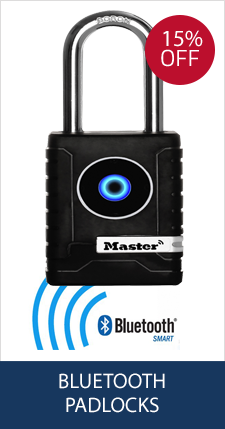 This basic lockout tag procedure involving safety hasps means that the equipment, machine or energy source is not able to restart until the last worker has completed their job and removed their personal safety lockout padlock from the lockout hasp. 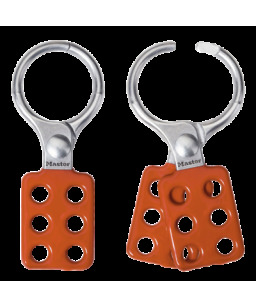 At Work Safety Solutions, we have a range of different safety hasps available. 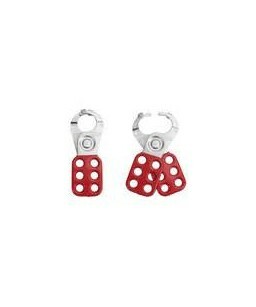 They vary in size and come in either red, yellow, or plain silver. 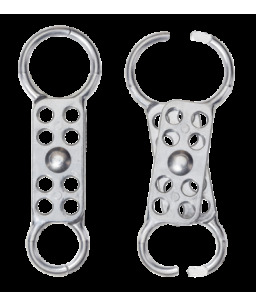 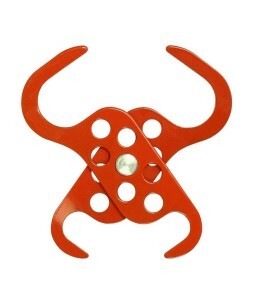 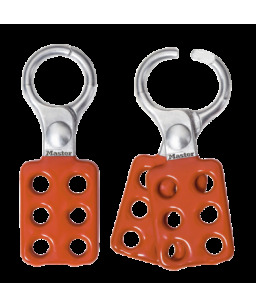 Material options include steel, aluminium and a non-conducive nylon material. 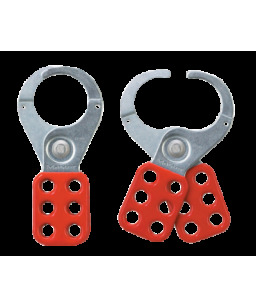 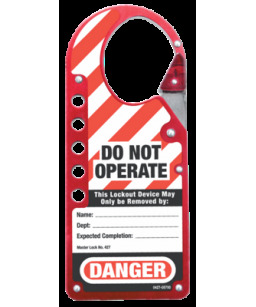 There are a variety of styles, including a 12-hole sliding lockout hasp, and one clearly labelled with a danger sign, stating not to operate. 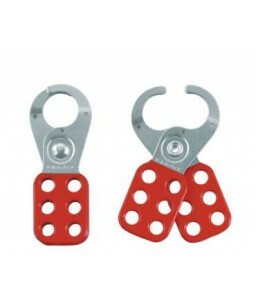 Prices vary depending on your choice of product, ranging from £3.52 to £17.34 including VAT. 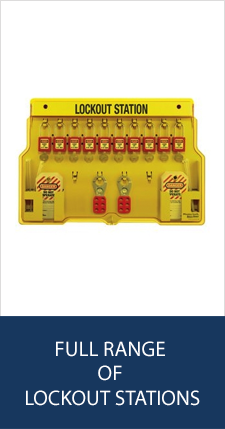 If you would like to find out more about our safety hasps, simply complete our contact form and we will be happy to answer any questions you may have for us.